Winemaking in California is “new” compared to Old World Europe, begun some 200 years ago and kicked into higher gear by monks, Mexicans and military commander Mariano Vallejo. 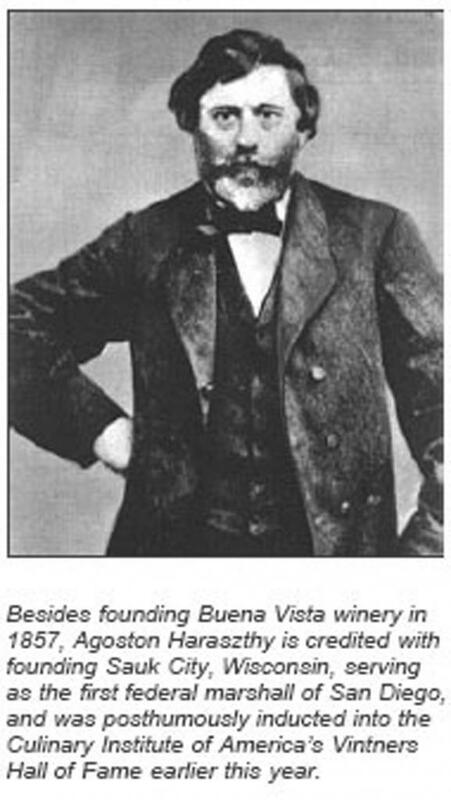 Yet no single figure had more gumption and vision than Agoston Haraszthy, the Hungarian who founded Buena Vista Winery in Sonoma in 1857 as the first commercial winery in California. Agoston Haraszthy founded Buena Vista in 1857. 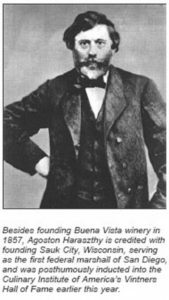 Through Haraszthy, historian Charles L. Sullivan delves into California’s early wine struggles and successes in “Sonoma Wine and the Buena Vista Story,” a book published by the Wine Appreciation Guild. In the introduction, Sullivan writes that he was asked to author the history of Buena Vista Winery by its owner, Jean-Charles Boisset, and agreed to do so if the book’s scope was expanded to all of Sonoma County. It follows a straight line through Haraszthy and his global travels, the impacts of which are still felt in Sonoma’s thriving wine industry. Prohibition is detailed, as are the various boom-and-bust periods of the industry. 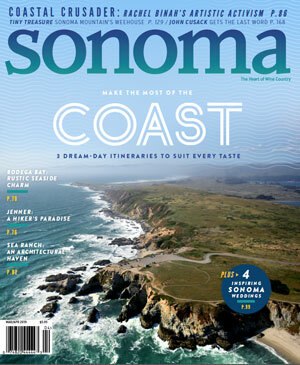 The “Passing the Baton” chapter covers 1980 through 2011, vaulting the Sonoma wine business to where it is today. The final chapter discusses the arrival of Boisset from France in 2003 and his ongoing restoration of the Buena Vista property, complete with his own “Count of Buena Vista” played by George Webber.